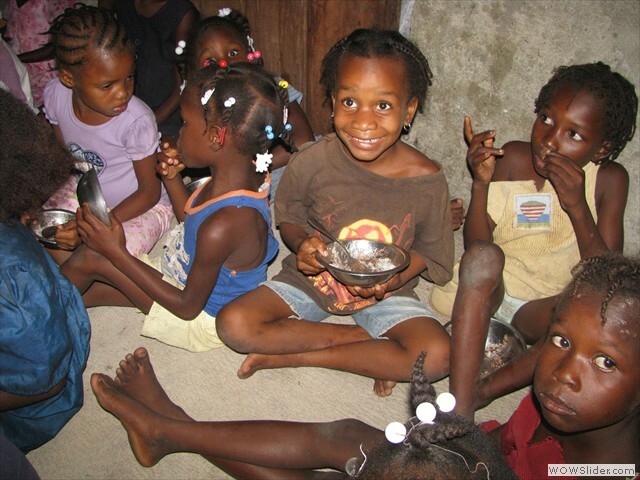 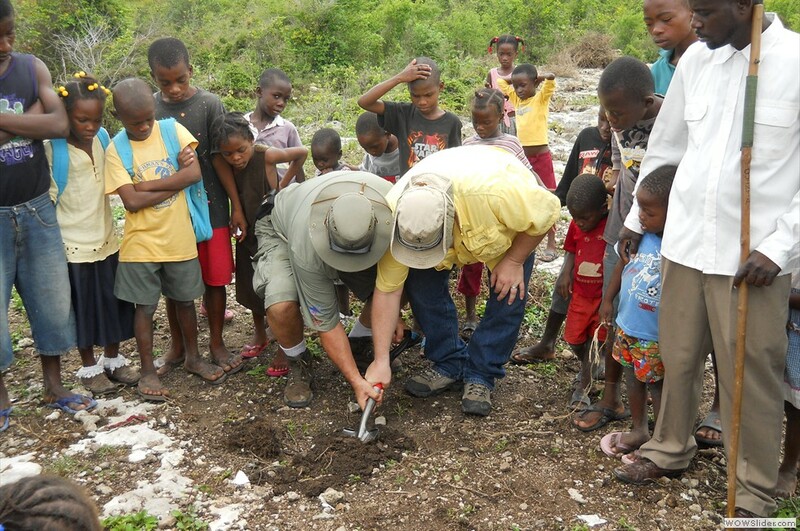 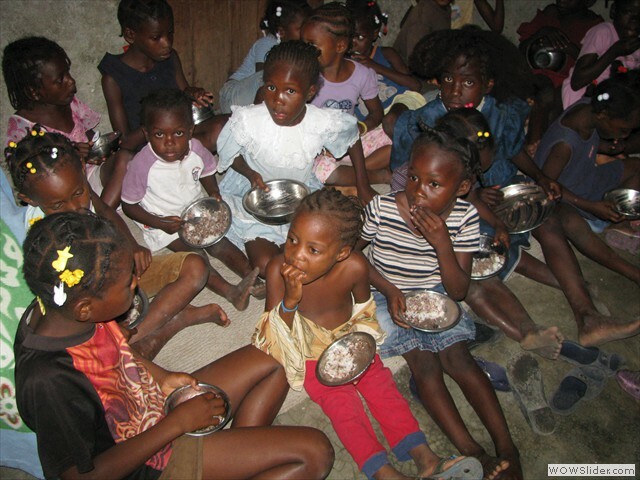 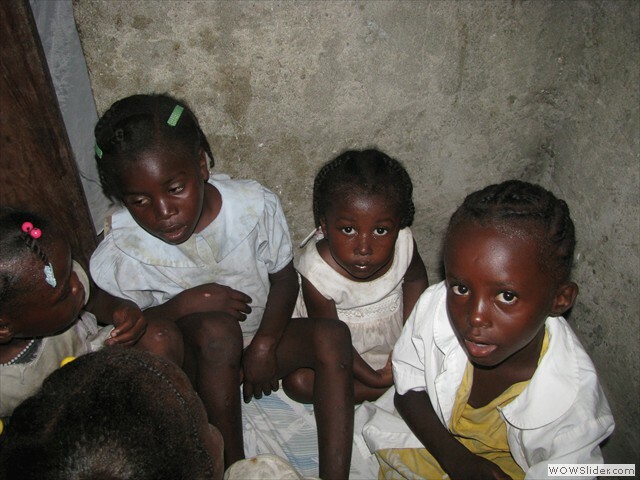 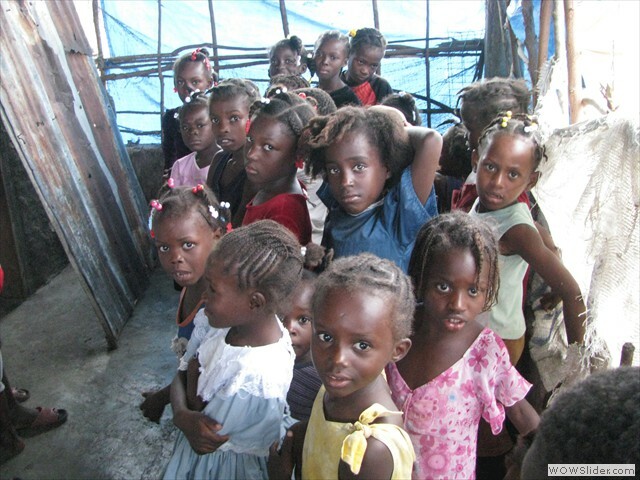 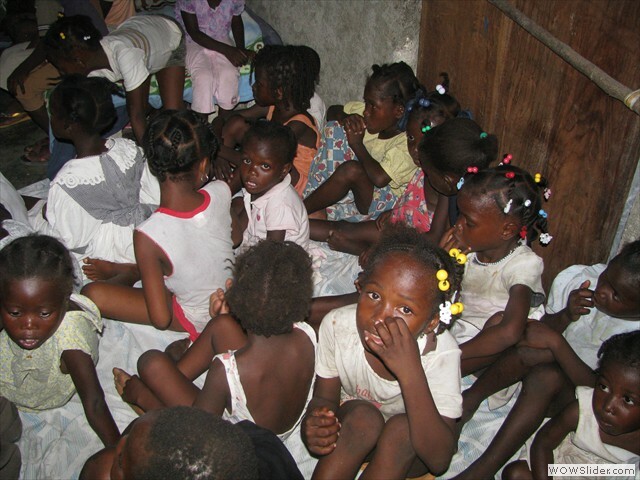 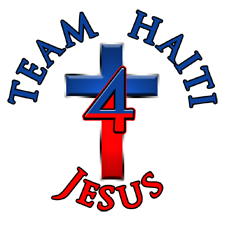 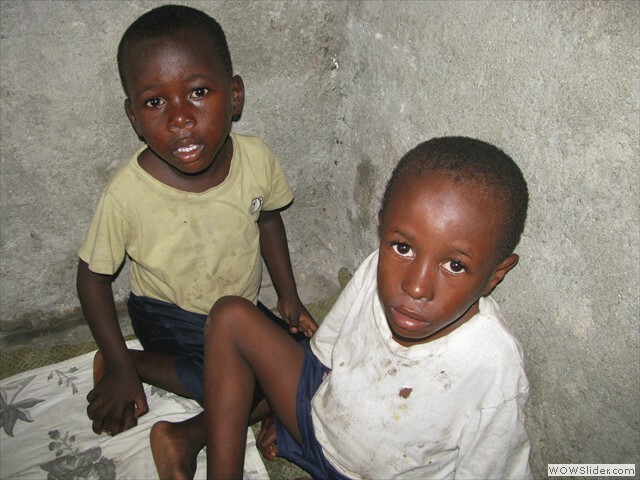 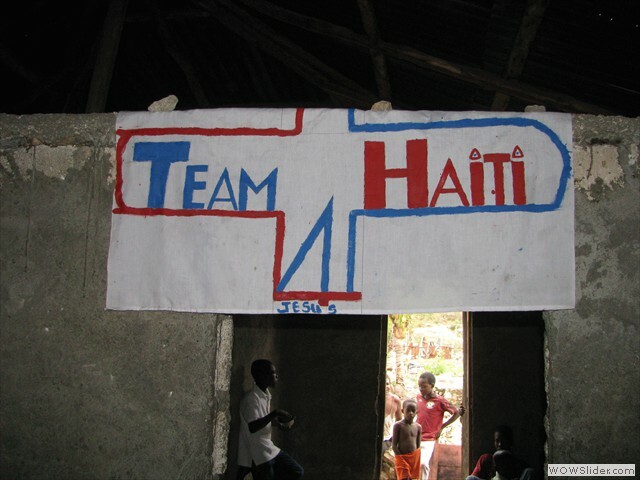 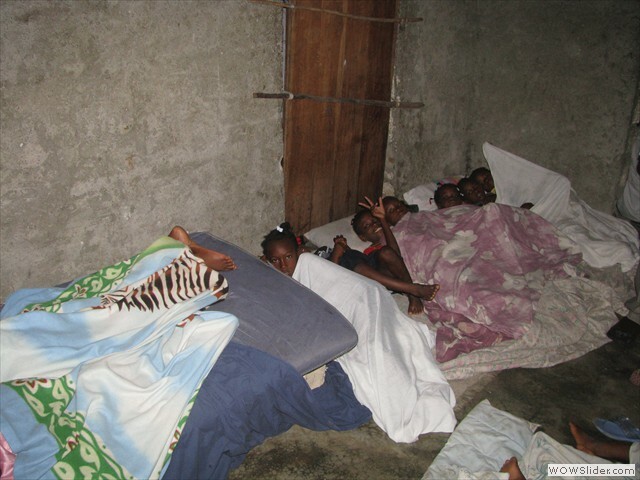 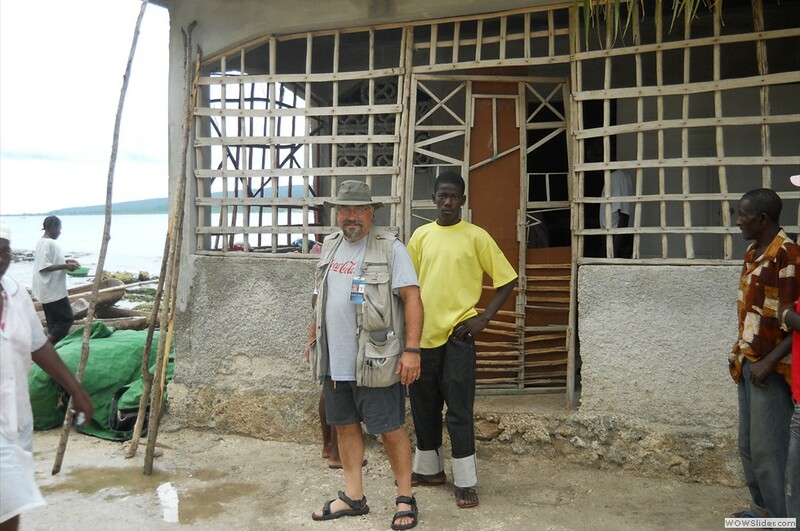 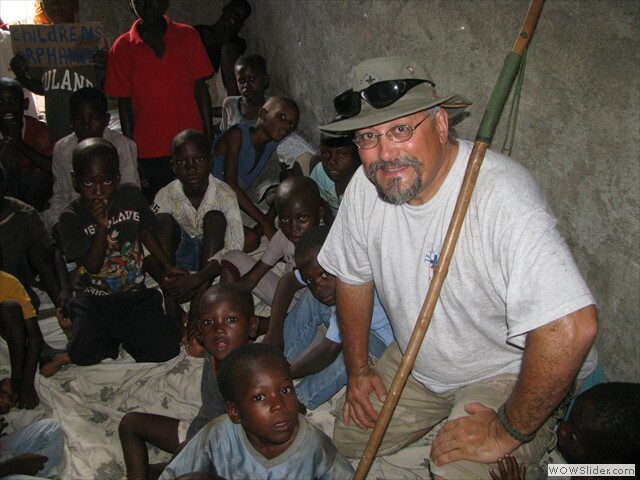 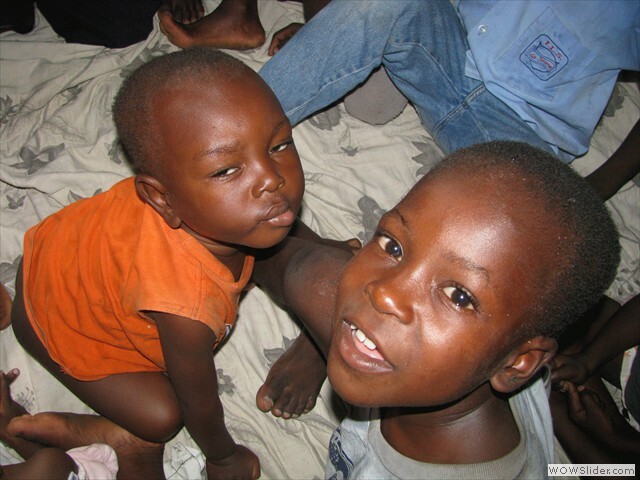 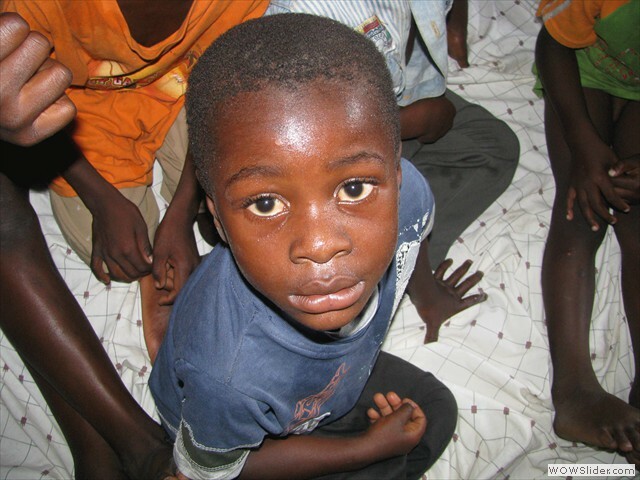 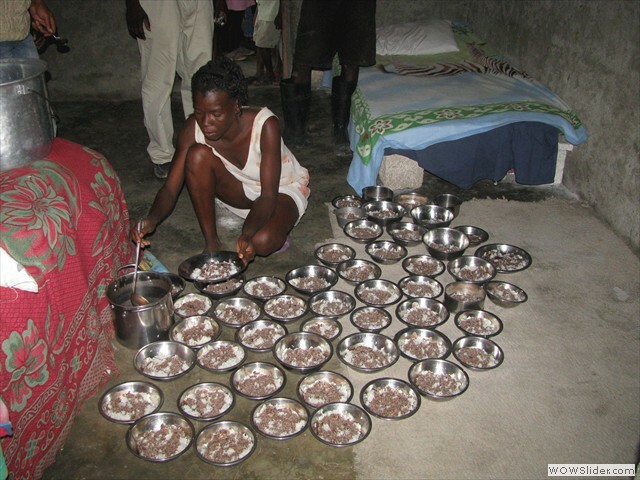 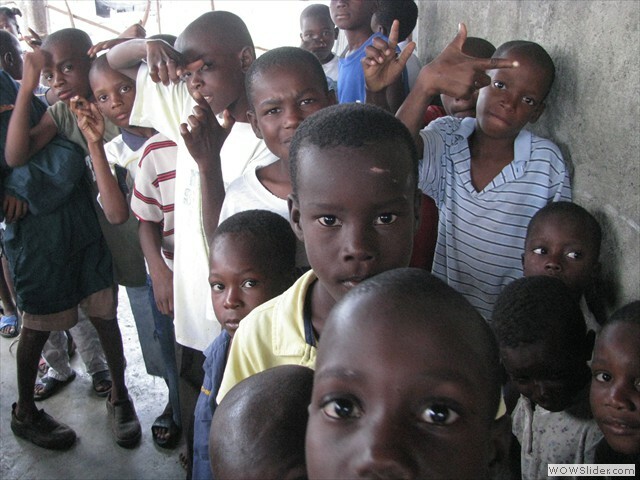 TH4J has established an Orphanage in Les Basses Haiti. 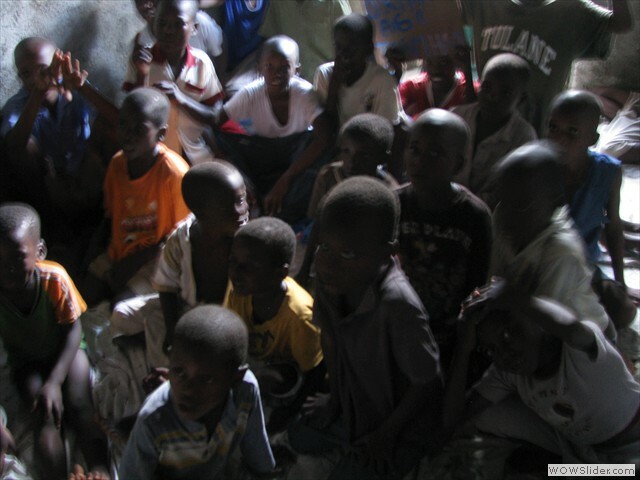 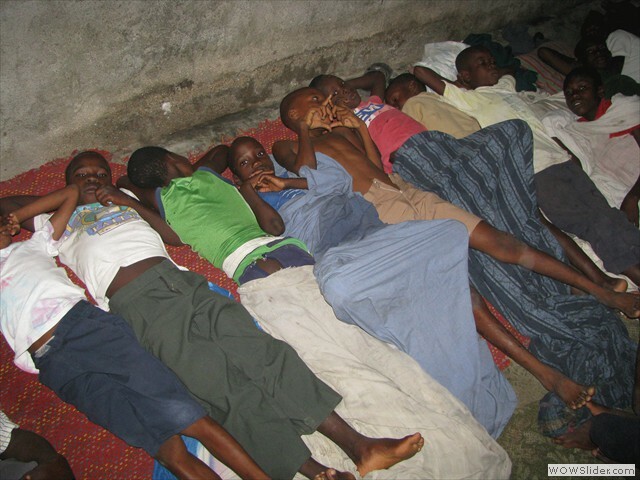 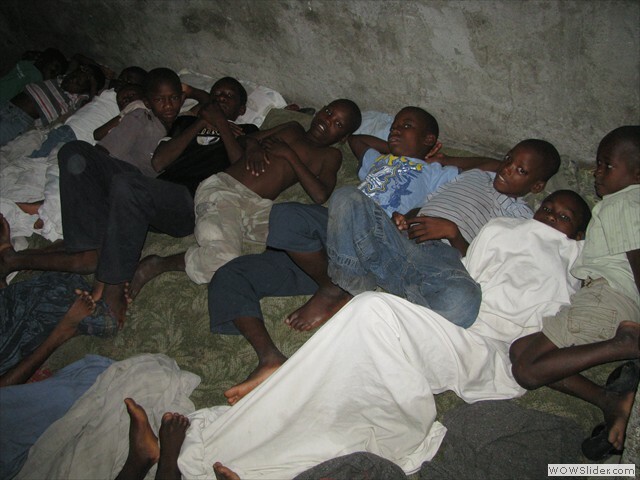 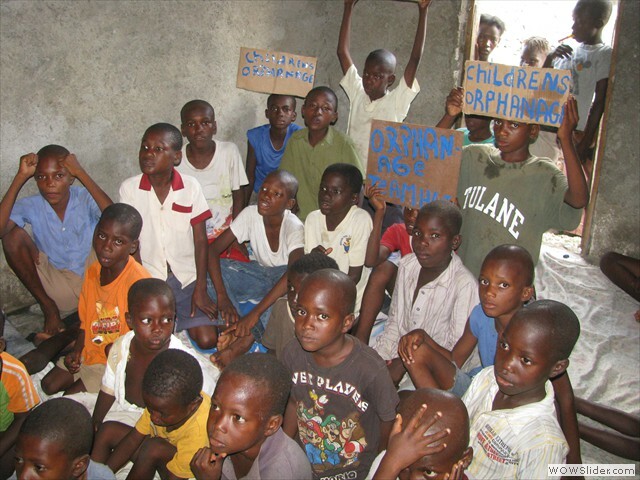 There are currently 189 children in our care, 68 of these children are Orphans and the others attent our school. 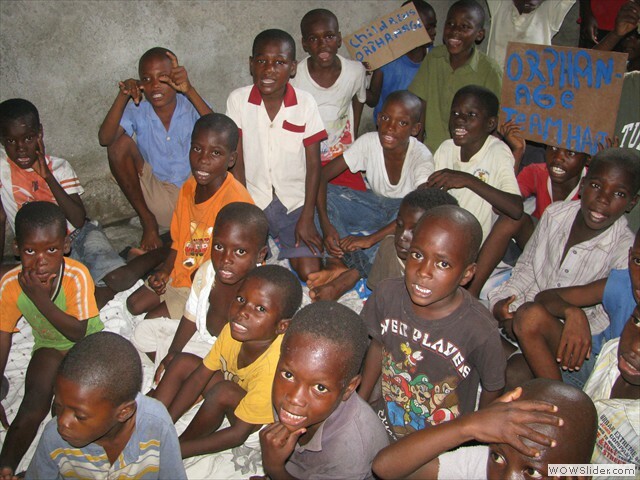 We are providing food, Gov accredited schooling, medical care and daily Love and nurturing that each of these children so desperately needs. 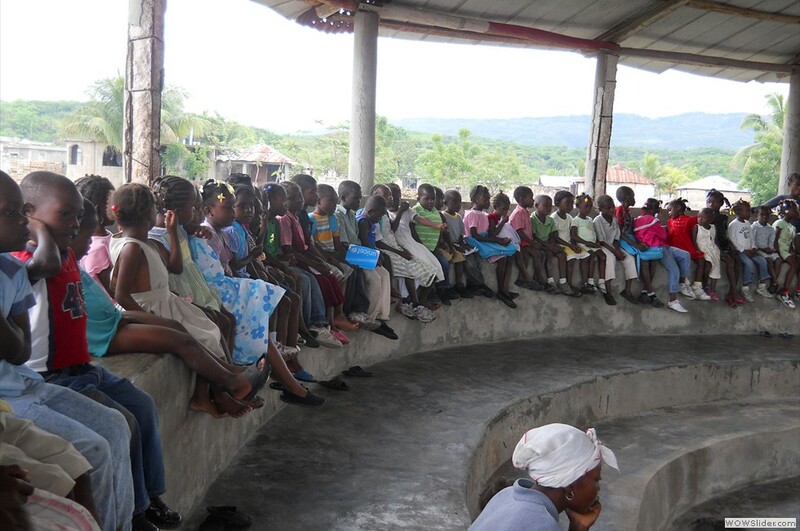 We are working toward installing a trade school to educate the children so that in the future these children can help Haiti develop into a self supporting, thriving country, producing goods and services to improve their way of life. 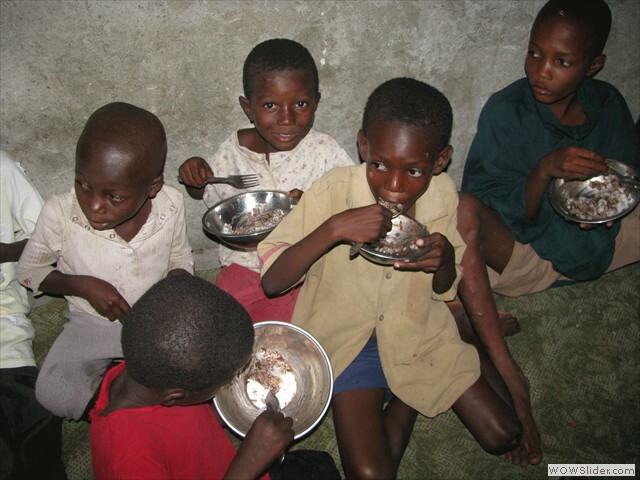 Currently we are only able to afford to feed them 1 meal day, this may seem terrible but they are extremely greatful to get this much help. 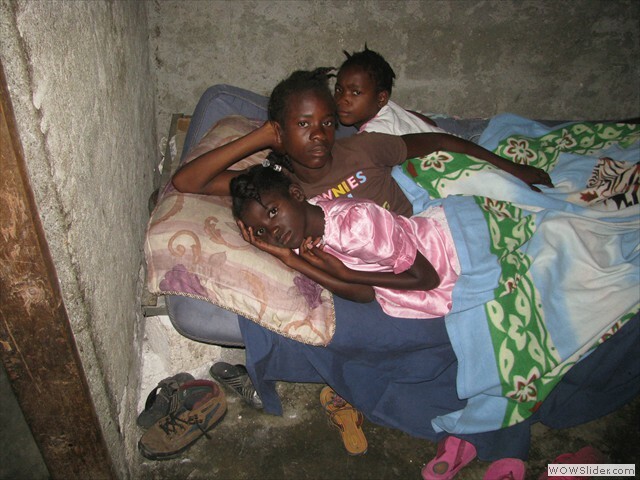 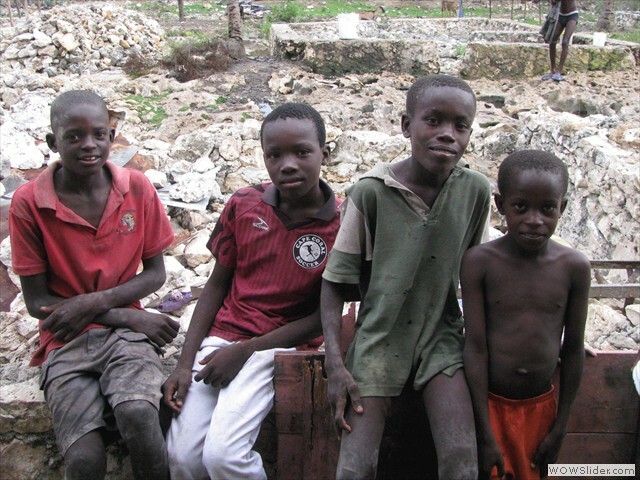 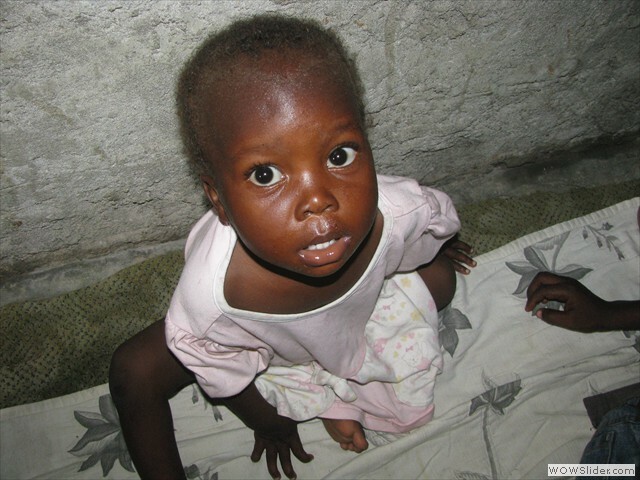 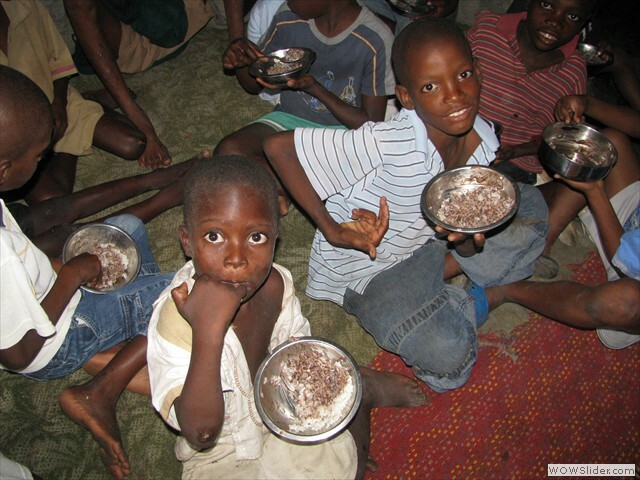 These children need food, clothes, school supplies, and medical help!!. 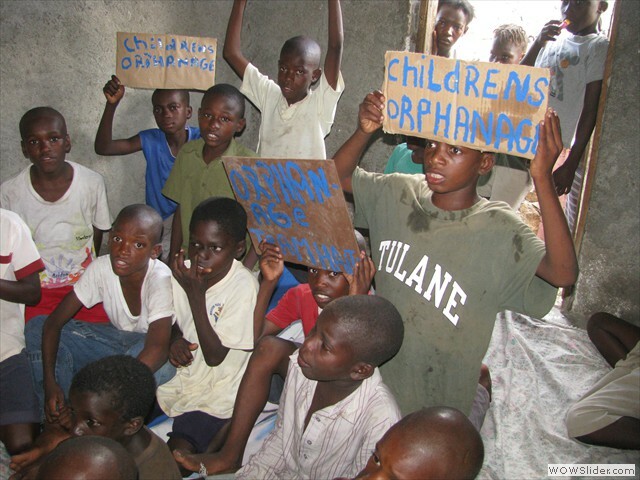 Orphans lined up to recieve gifts. 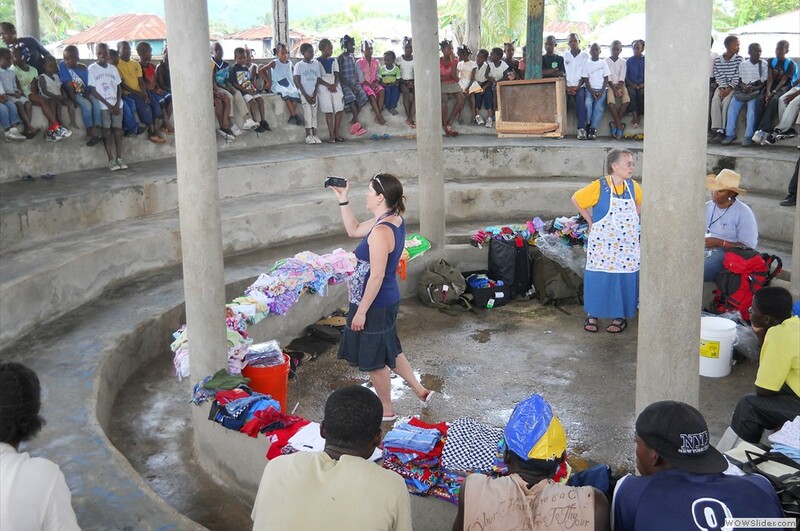 Clothes and tooth brushes and toys, and other things. 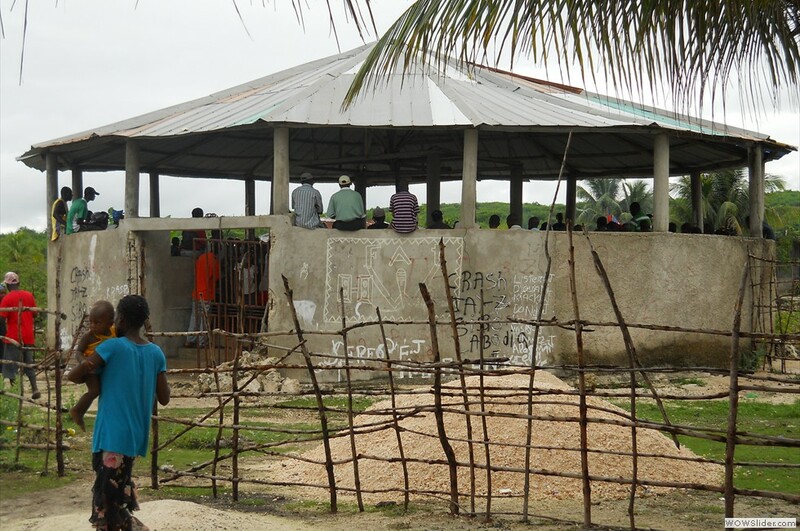 This is where the kids go to eat and have devotions. 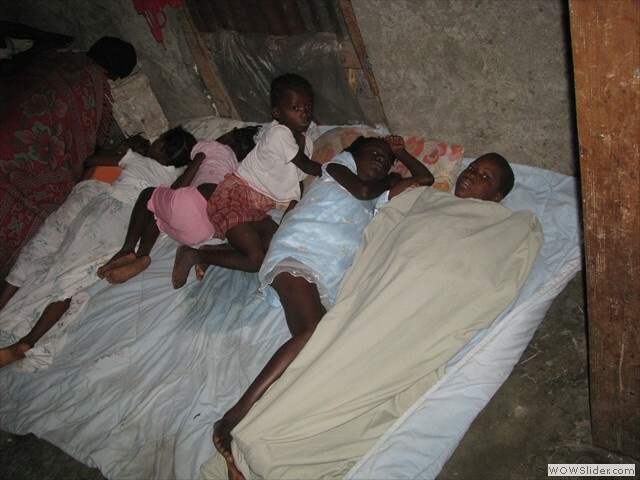 This is the house where some of the kids sleep. 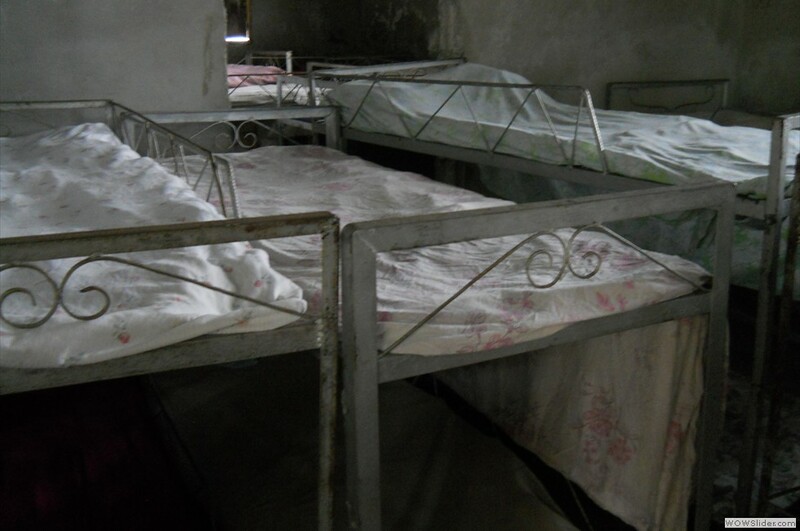 Some of the beds in the house. 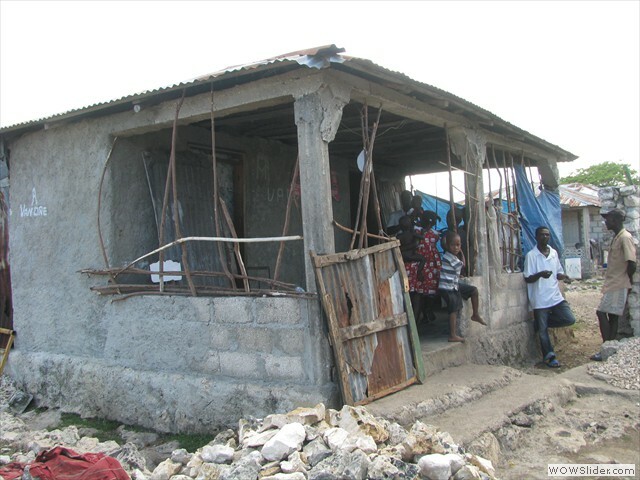 The house only has 3 rooms and has 52 beds in it. 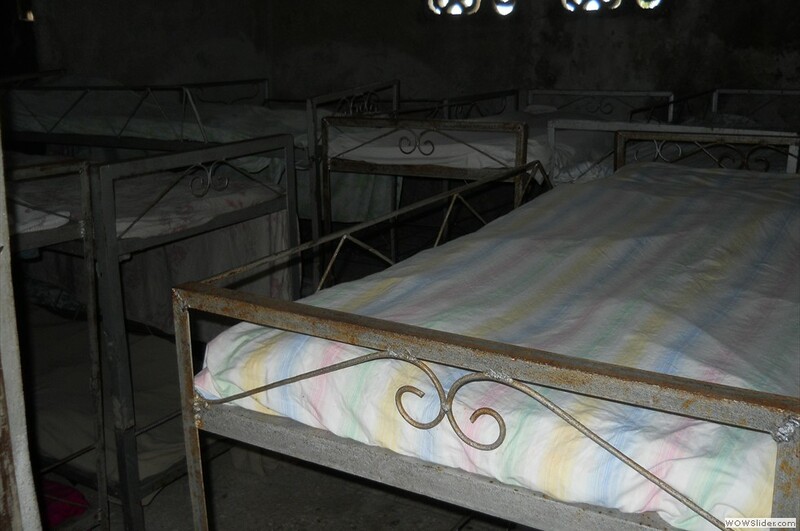 Beds beds and more beds. 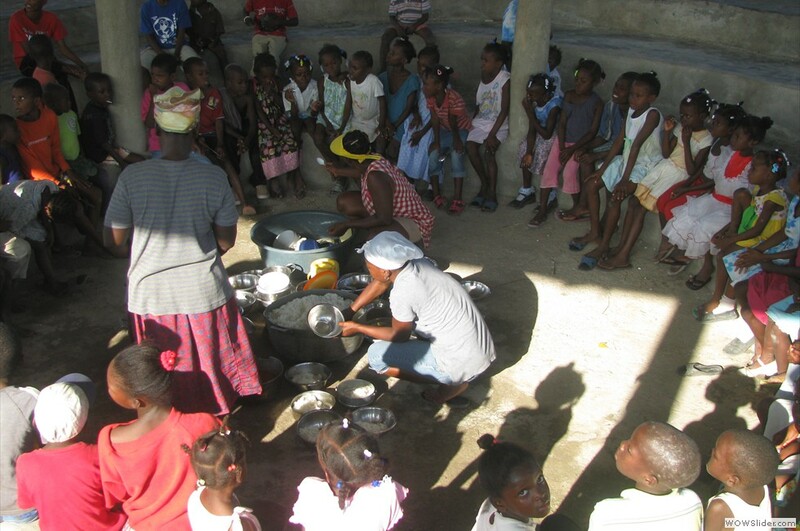 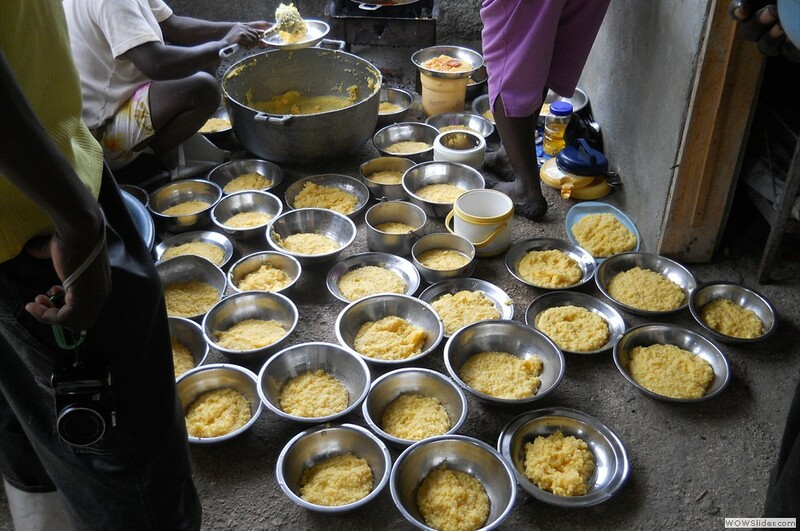 Preparing and dishing out the food for the kids. 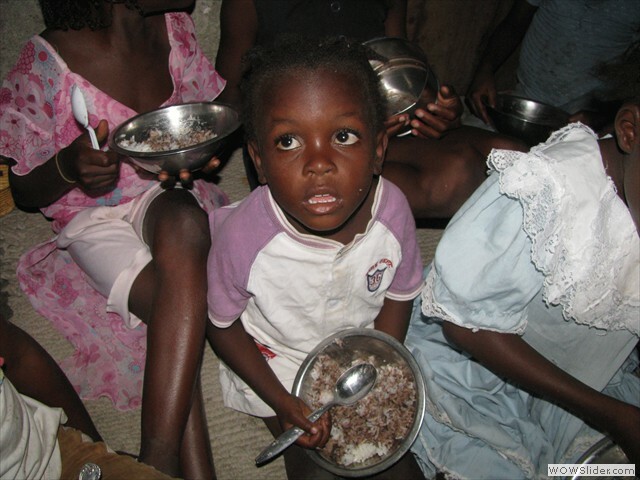 Beans and rice to eat today. 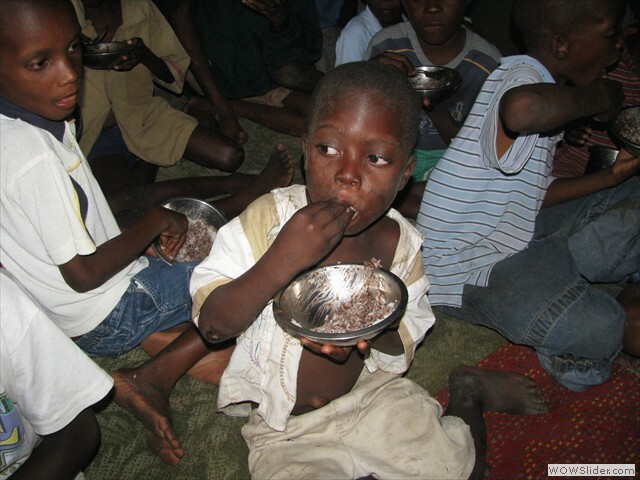 Feeding the kids in shifts. 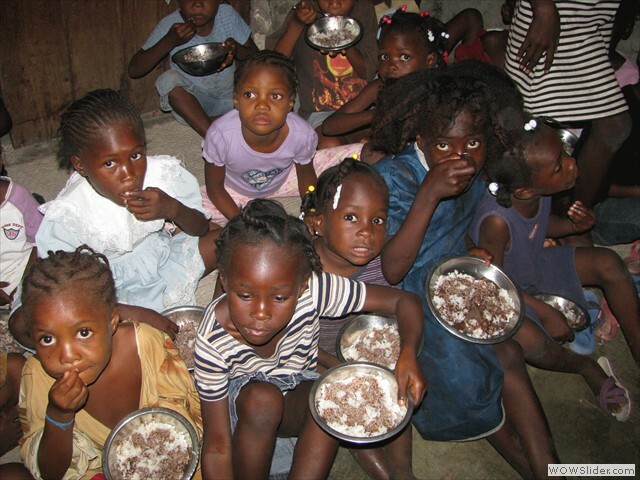 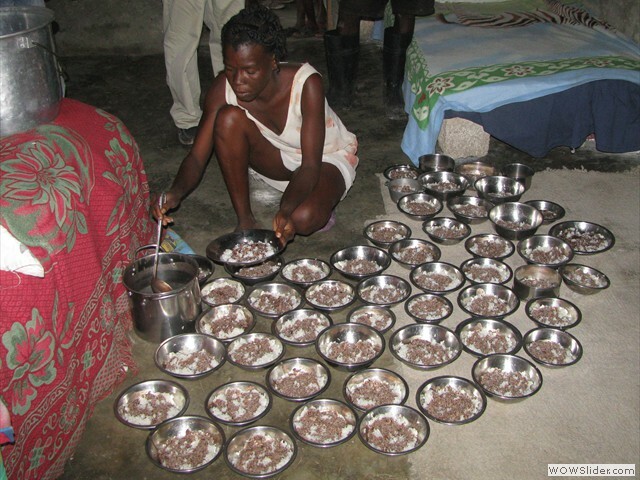 they get 1 meal per day now. 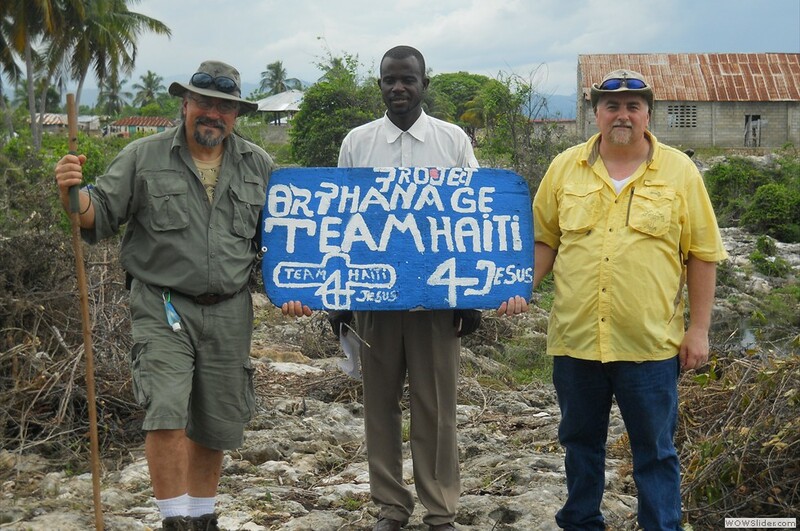 Future site of the orphanage. 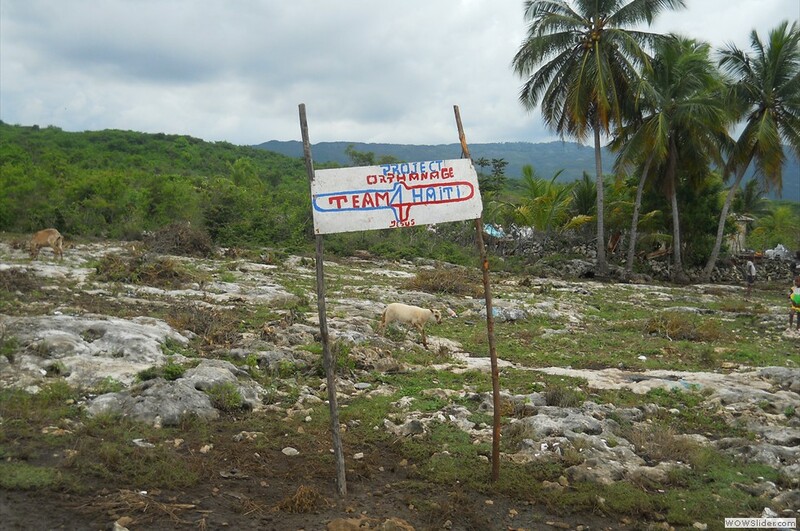 New land that was donated for the new building project. 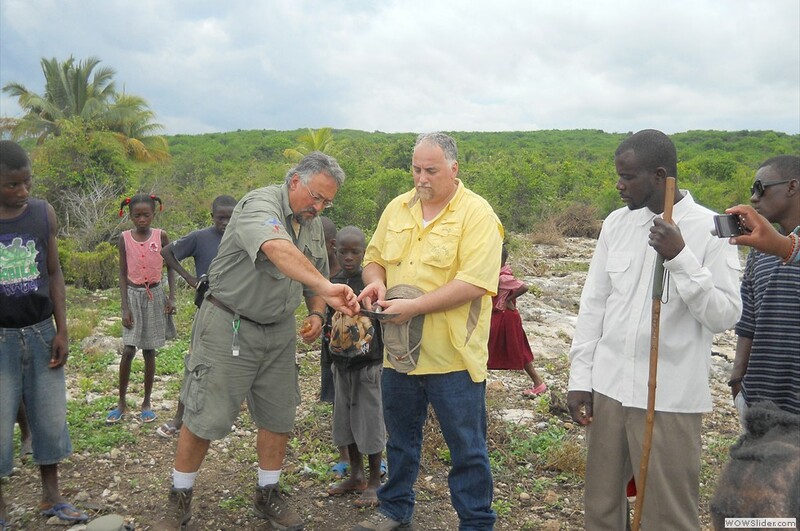 Pastor Dan Quinta and Pastor Gary Mullin anointing the shovel for breaking ground.